Interest rates have jogged up in recent months and some people are getting apocalyptic about it. 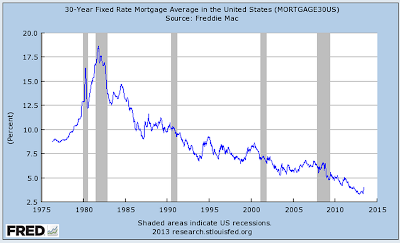 The above chart shows thirty year mortgage rates - the little jag up at the very end is the feature of interest. Below is 10 year US government debt. 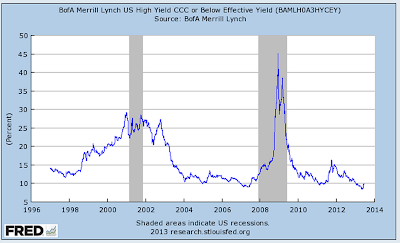 Could this be a turning point, the beginning of a return to more normal credit conditions? That's conceivable, and it would be fine. It could also just be noise. Actually, it wouldn't be fine. Debt levels are too high to allow a return to risk-based rates - each 1% rise in the Treasury rate would add $165 billion a year in interest costs to the Treasury's outlay. Of course, the Fed would just print that, but confidence in the dollar would erode further. With the cost of oil equal to an over 10% real interest rate on the economy, risk-based rates will crush it, since it is entirely leveraged-based. The Fed, by creating $16T since 2008 to prop up insolvent banks and the Treasury, has painted us all into a very tight corner. I agree with Mr. Sunshine's conclusions. But note too that an increase in 30 year rates from 3% to 4.5% would knock the value of a $300,000 house to $250,000, if you go by the 30 year monthly payment. That would be huge in an already fragile economic environment. Until we have real wage growth for the 99%, we cannot have any increase in interest rates without large, cascading effects on the economy. 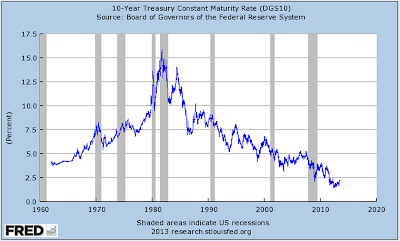 "...each 1% rise in the Treasury rate would add $165 billion a year in interest costs to the Treasury's outlay." Yes... and also would add about four times that to the interest costs of the private sector. Read something on Sober Look saying that BRIC and other emerging market nations may be buying up less US treasuries due to weaker economies. DShort covered this topic today. 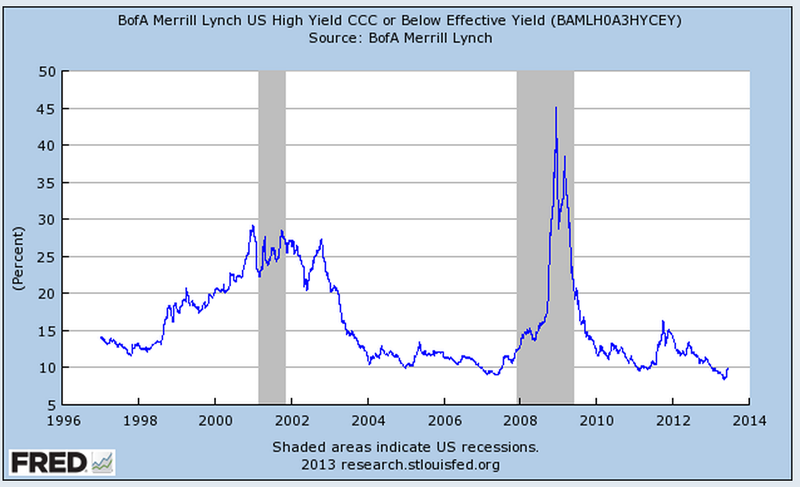 "Expressed as a percentage increase, the rise in yields since May 2nd is unprecedented"